A few weeks ago, I went to an event put on by Atlas Obscura where we went to a pinball museum in Orange County. 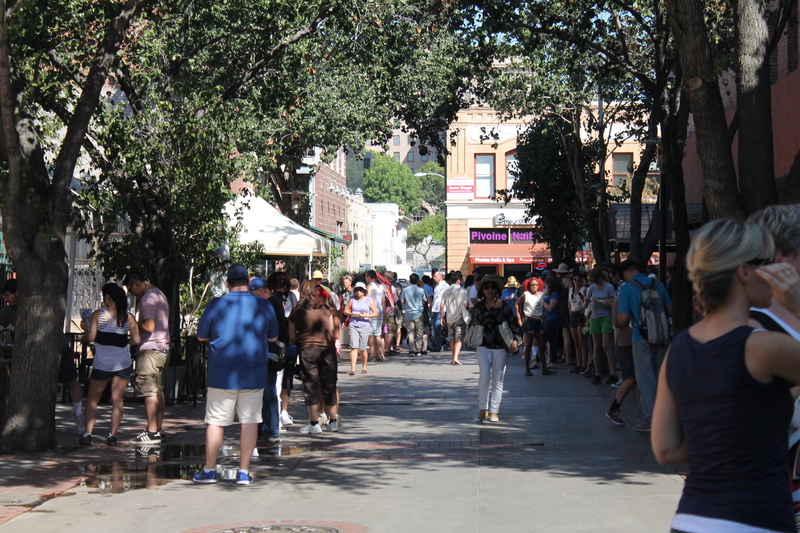 While we were there, they mentioned that they were doing a ‘Field Trip Day’ excursion in Pasadena soon. 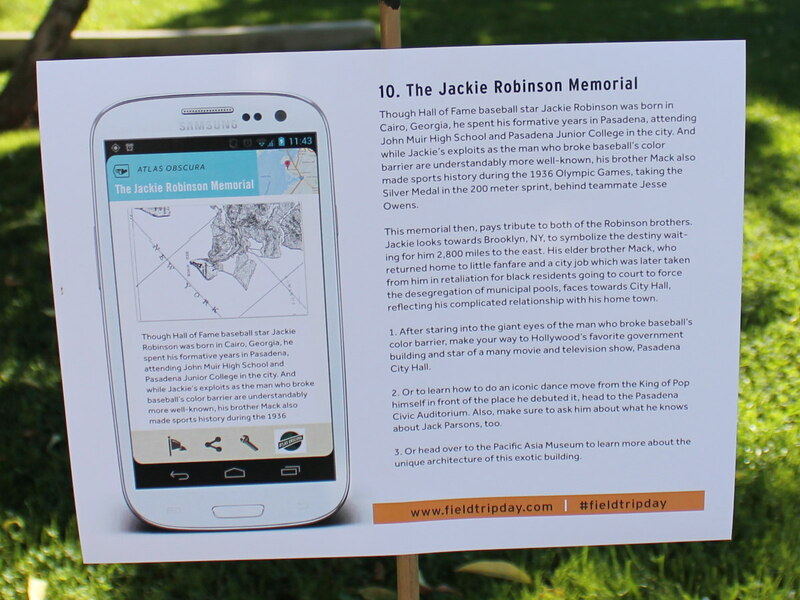 This was put on in conjunction with Google, which has created a ‘Field Trip‘ smartphone app. So today was the day, and we headed over to Old Town to do some exploring on foot and seeing some of the history and culture around there. We all met up in an alley behind Lucky Baldwin’s, where everybody got a little packet to start off with. It listed about 25 locations that were within reasonable walking distance. At each place, there was a flag and a small sign telling a bit about the place and its history and significance. One of the things in the packet was a list of questions to try and answer about some of the locations. 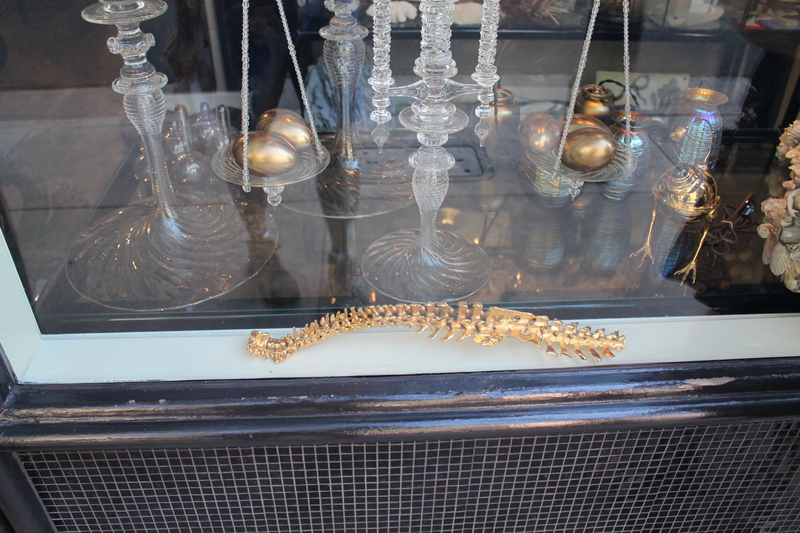 This made it sort of a scavenger hunt, which added some entertainment value. 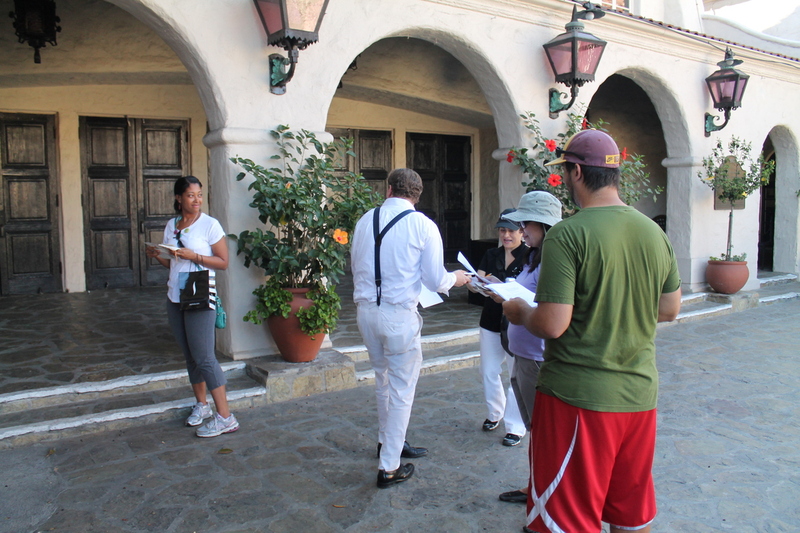 And at some of the locations, they had actors dressed up as characters who had something to do with the history of the place. So it was an interactive scavenger hunt. At the start, we headed out to the first few stops in the order they were listed on the sheet. One of the oddities was Gold Bug. I’d been by there, but never stopped to look in the windows. They have a lot of weird stuff in there. 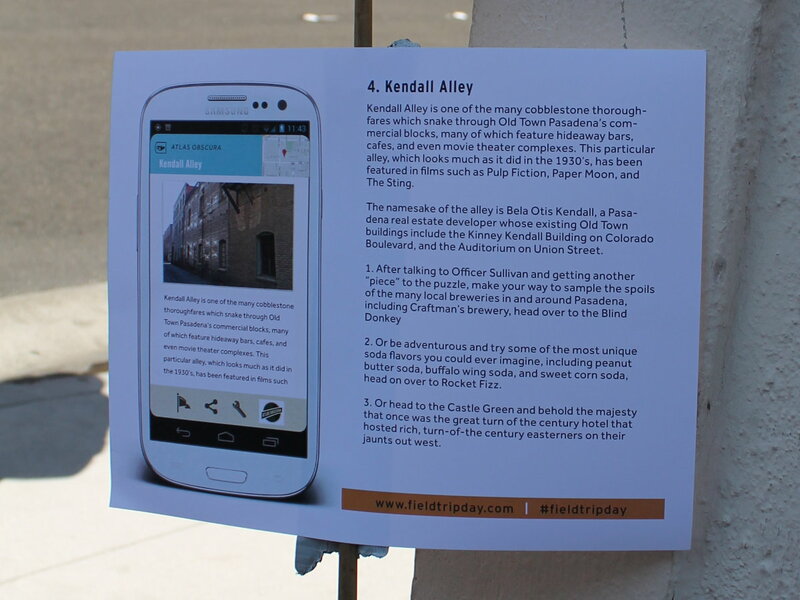 At Kendall Alley, we read the sign and talked to the officer to get the answer to the puzzle question for that location. Then we went across the street to the Blind Donkey to sample some beer. We saw the Raymond Theater, which has been converted to condominiums. This was where the concert scenes from “This is Spinal Tap” and “Rock ‘n’ Roll High School” were filmed. 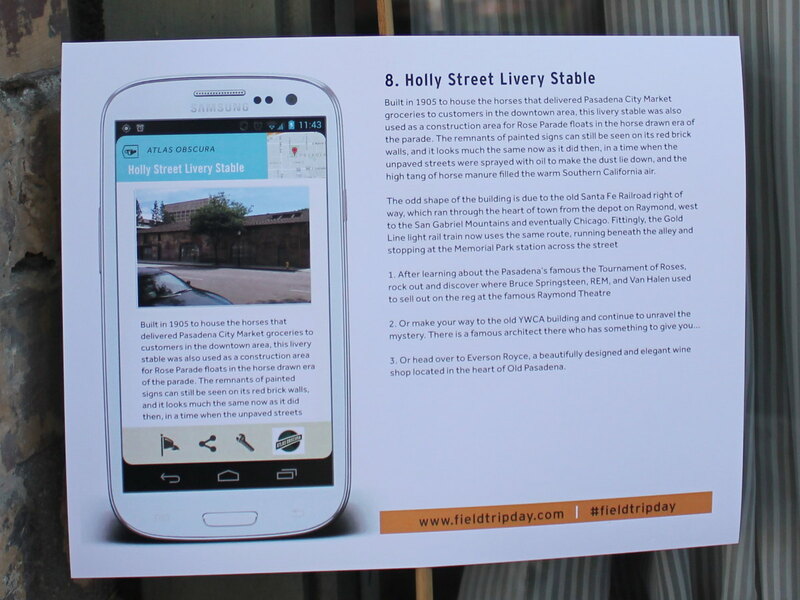 The Holly Street Livery Stable is a very old building that I’ve been by countless times, but never really noticed. But it’s a piece of history that it still standing. At the old YWCA building, we met the architect, Julia Morgan, who designed many buildings for the YWCA in California. She told us the story of the building. Then we walked over to Pasadena City Hall and saw the Jackie Robinson memorial there. We also learned that his brother Mack was a runner, and that he’d competed in the 1936 Olympics, coming in second behind Jesse Owens in the 200 meter race. From there, we went off the route, and we went to the Pasadena Civic Auditorium. The bit of history here was that this was where the 1983 “Motown 25″ TV show was filmed, and it was the first place where Michael Jackson performed the moonwalk. 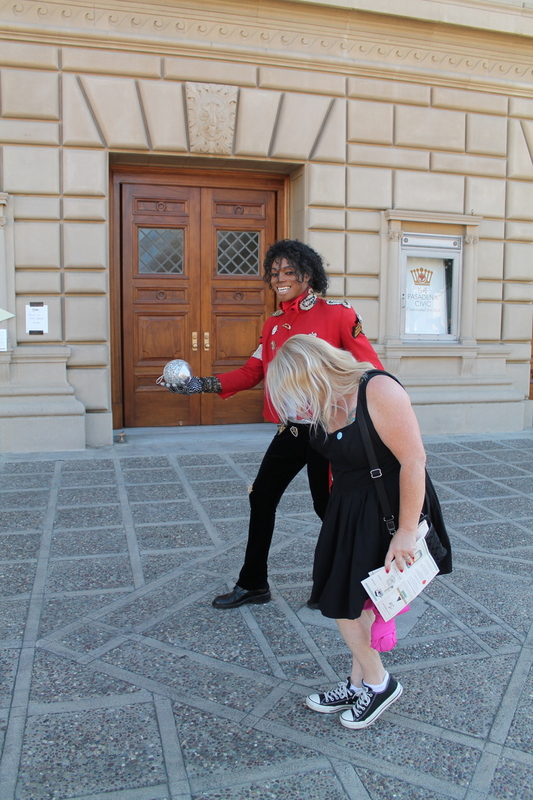 So of course, they had Michael Jackson there to teach everyone how to do it. 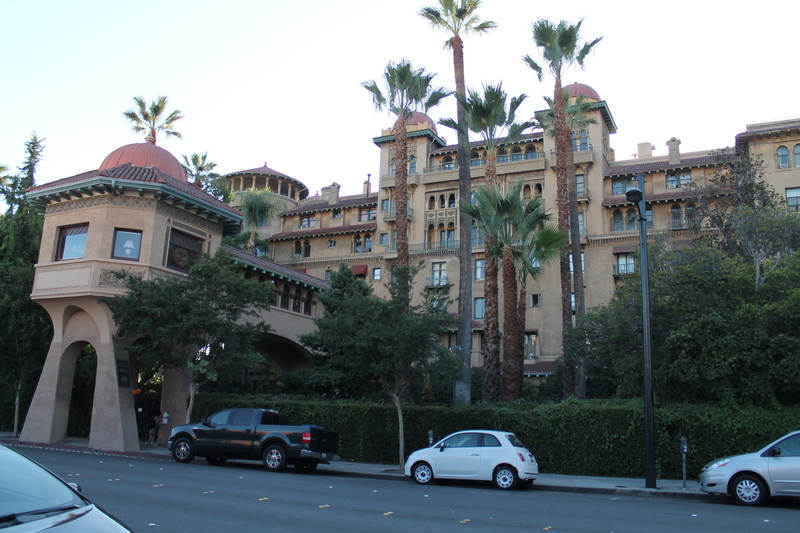 After that, we headed east, out of Old Town, where we stopped at the Pasadena Playhouse, where Tennessee Williams was holding auditions for their production of “A Streetcar Named Desire”. Again, this was an interactive adventure. And because we’d gone off the route, we got there ahead of the main group of people doing the tour. They started to arrive just as we finished there. We stopped in the little coffee shop in Vroman’s Books to get some cold drinks. Then we started back, going by the Scottish Rite building, and the Pacific Asia Museum. 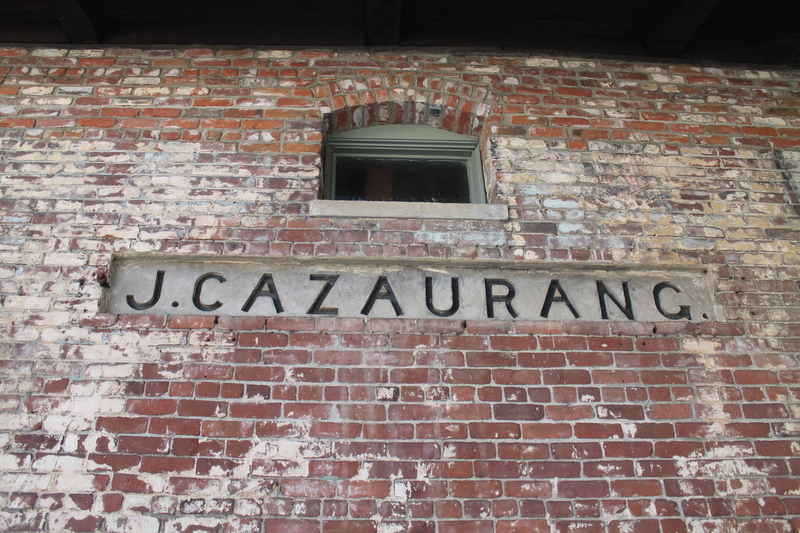 Then we went to the Luggage Room, which is a restaurant in what was part of the old Santa Fe railway station in Pasadena. They were holding a little cocktail tasting on the patio, so we got to sample some odd cocktail flavors. 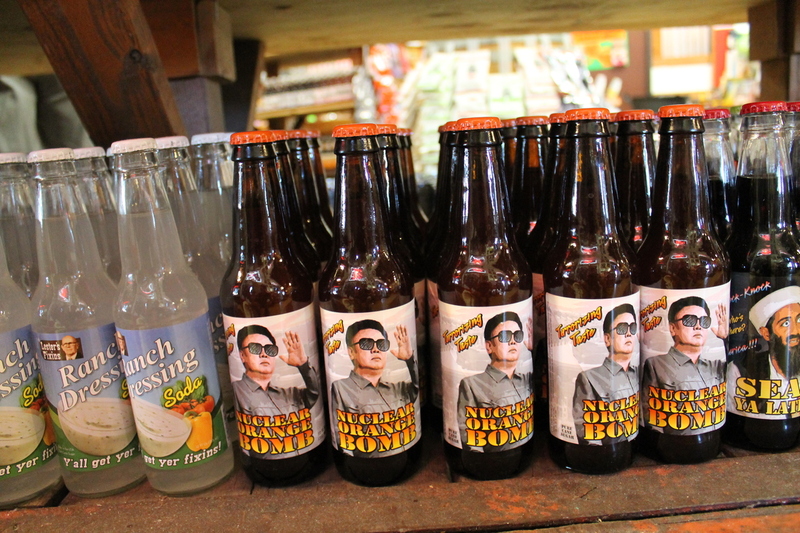 The last stop on the tour was at Rocket Fizz, which has a lot of decidedly strange and funny sodas. Not really historical, but interesting in an odd way. Then we headed over to the after party at Castle Green. And after the party, we walked over and had dinner at Cafe Bizou before going home. All told, it was an interesting and amusing afternoon adventure.